The dog days of summer are here; have you summer-proofed your car? Yes, summer-proof your car! Most of us are well aware of the damage the chill of winter can wreak on our SUVs, vans, and trucks but the heat and UV rays of summer can also harm our vehicles. According to R.L. Polk, Americans keep their cars for an average of six years and most vehicles are resold at that time. Taking the time to summer-proof your vehicle is not only good for your car, it can add dollars to your resale price. Statista – The Statistics Portal, reported people are selling their vehicles at ever increasing rates. Want top dollar for that car when you are ready to sell it? Make sure it looks good. The most obvious summer-time damage is to the paint and the dashboard. The UV rays of the sun can discolor paint and crack the dashboard until it looks like a model of the Grand Canyon. BYK Laboratories explained that the UV rays breakdown the organic compounds in the paint like the binders which lead to the paint discoloring and drying out to the cracking point. Also increased dust because of dry, summer conditions can really build up. Dust acts like sandpaper on your cars’ clear coat. The clear coat not only makes the car look good but more than that, it is the primary barrier against rust. The scratching effects of accumulated dirt and dust coupled with the drying effects of the suns UV rays, acidic insects from increased summer insect populations, bird droppings, and tree sap all have adverse effects on an otherwise beautiful and beneficial paint job. Don’t forget, every trip to the beach we not only bring home sand in our shoes but also in our car, on our car and in our air filters. An air filters’ job is to trap sand, dust, and other particles to keep them from mangling our vehicles’ engines. Regular checks and changes of the filters will keep our engines running smoothly and a quick wash will rid the paint of the scratching sand. 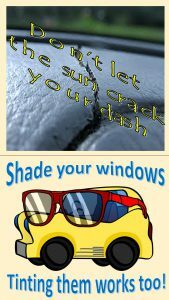 Plastics and vinyl tend to absorb UV radiation more quickly than paint. This leads to crumbling windshield wipers, which do little good in the occasional August rain shower. One place you might not think of when you think of summer damage are the belts and hoses under the hood. Excessive heat from parking in the sun can damage these parts as well. It would be a good idea to check them a few extra times during the summer. Cars are great, right? Combined with the power of smartphones and satellite navigation, it’s easy to feel like you are only a few taps away from the world. Unfortunately, ‘IRL’ has its’ own way of doing things. It definitely pays to have a back-up plan. 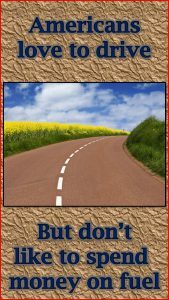 That, and a bit of know-how can help you get to your destination. A roadside emergency kit can be a pain in the neck to lug around until you need it. While you can buy one pre-packaged, creating it yourself can be more rewarding, whether it’s for an extended road trip or your daily drive. The contents can be divided into three basic categories: Food, Clothing and Tools. Tools to consider include jumper cables or, better yet, a jumper pack. A small set of hand tools or multi-tool is always a good idea along with a first aid kit. A headlamp or flashlight are invaluable. Don’t forget a working jack and spare tire. Pack clothing such as rain gear, a warm blanket, hats and gloves can really be helpful in a bind. The challenge is to balance the items you’ll most likely need and the available space, while considering your distance traveled and the reliability of your car. Don’t get caught with a hot soda. Order one today and we’ll ship it to you for $9.95! 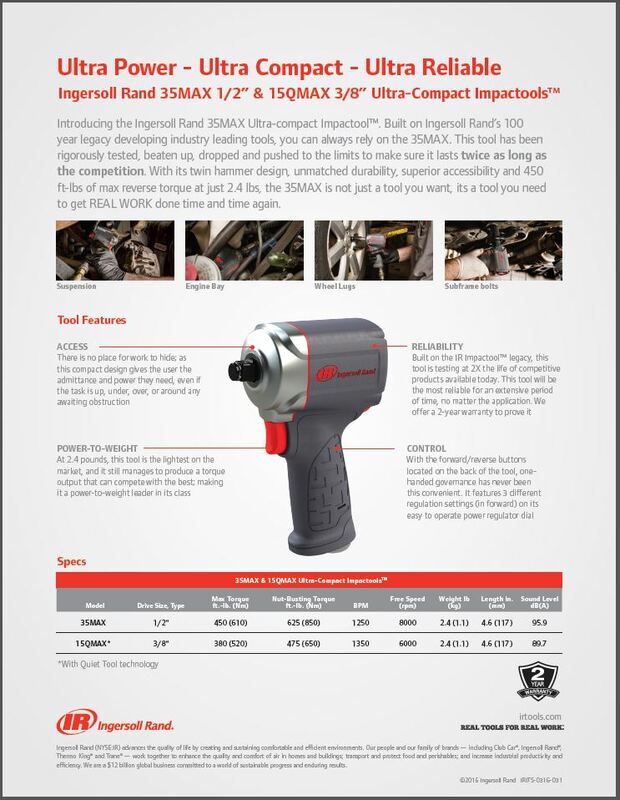 Have You Seen the Two New Ingersoll Rand Impact Wrenches? As most mechanics, and even most car enthusiasts, know Ingersoll Rand is a brand you can trust. 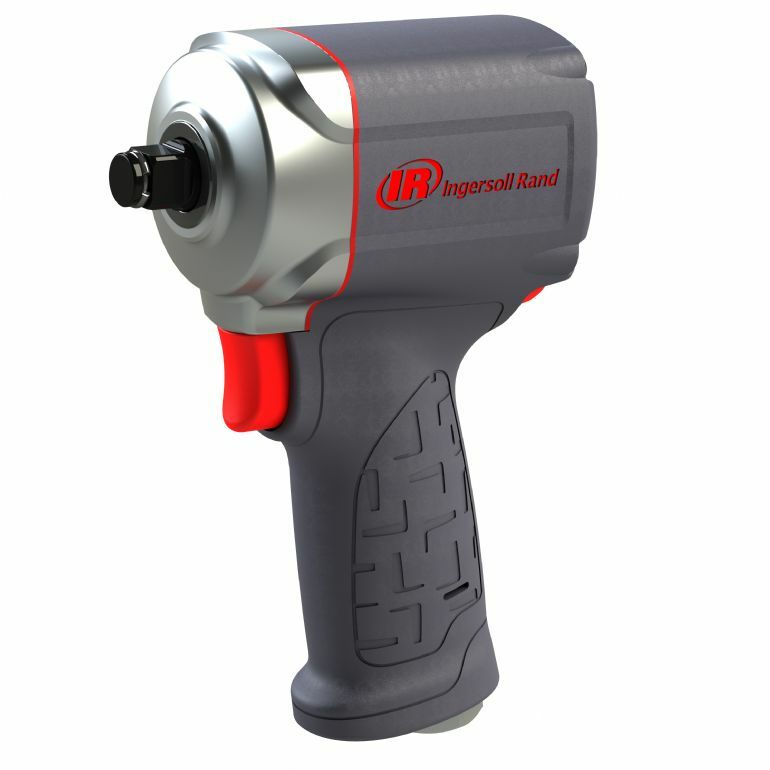 Now, Ingersoll Rand has come out with TWO impact wrenches for the Nascar® fans of the mechanics world. First Up: The 1/2” Green NASCAR® Impactool™! This classic tool with a new paint scheme comes equipped with the reliable Twin Hammer impact mechanism, and it boasts an average air consumption of 4.2 CFM delivering 590 ft-lbs of torque. 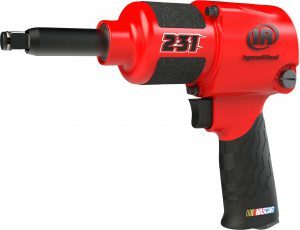 Next: The 1/2” Red NASCAR® Impactool™ with 1/2″ Extended Anvil! Now, if you need a little extra anvil length…this is the tool for you! 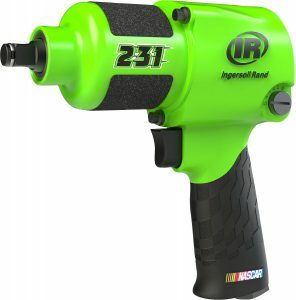 Whether you’re a vehicle hobbyist or professional mechanic, this NASCAR® themed 231R air impact wrench from Ingersoll Rand delivers the power and performance to tackle tough jobs with ease, including tire rotation, brake jobs, crank pulley bolt removal, and more. Do you already own one of these beasts? If so, let me know how you like it. Ingersoll Rand has done it again! They’ve released a new ½” drive impact wrench that has everyone talking. Have you seen the 35MAX yet? It’s a mechanics dream tool. What is Ingersoll Rand saying about this new impact? 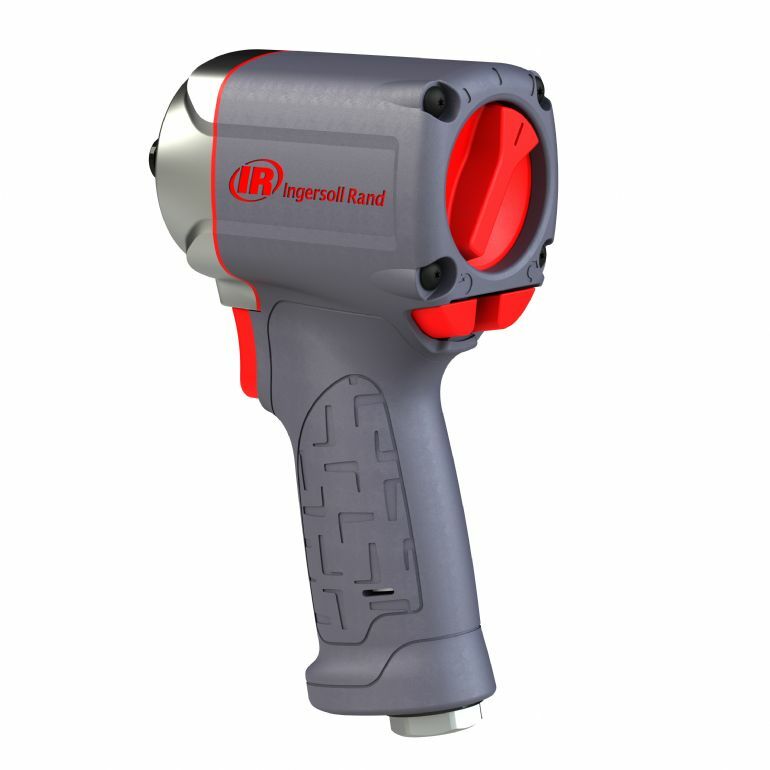 “Built on Ingersoll Rand’s 100 year legacy developing industry leading tools, you can always rely on the 35MAX. This stubby impact wrench has been rigorously tested and pushed to the limits to make sure it lasts twice as long as the competition so you can get REAL WORK done time and time again.” We couldn’t agree more! This impact is so new that we couldn’t even find a video of anyone using it yet…so if you have one, shoot a video and send it to us! We’d love to upload more videos of our customers using the actual tool! The last thing you need is to spend too much time finding a leak. Let Robinair help! 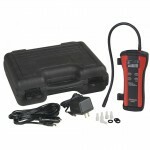 This leak detector is priced right and is currently available. 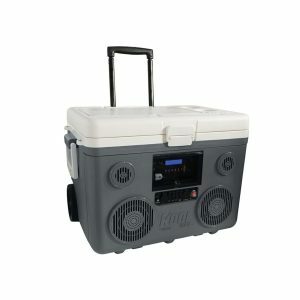 Want to review this product? Send us an email with your testimony and it could be featured here and on our Facebook page! The problem women seem to have when it comes to buying a gift for her husband, or significant other, is always the same, “What do I buy for my manly man on Valentine’s Day?”. And YES ladies…your man DOES want a gift on Valentine’s Day! Don’t let him fool you…he may say you don’t need to go to any trouble for him but deep down inside he’s hoping you have a little gift for him. Now, depending on what your guy is into, here are the top 3 gifts this Valentine’s Day. Depending on your price range ($13 up) there is a huge variety of different models and types available. My personal favorite is the Kershaw 1670BLKST. This knife is only 4.5” in length when it’s closed and has a 3-3/8” serrated blade. Can you say BEST pocket knife purchase ever?!?! The quickest way to a man’s heart is to make him feel like Super Man on any given day of the week. The quickest way to do that is to buy him a code reader that will allow him to diagnose those pesky “Service Engine Soon” lights. 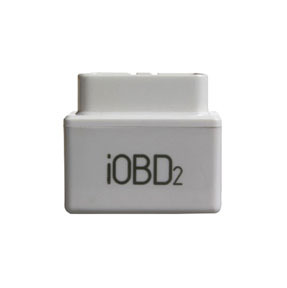 The Can Do IOBD2 code reader is perfect for that job! Plug the code reader into your car and after downloading the app to a smartphone, he’ll be able to run a diagnostic on your car and tell you what’s wrong with it. This would be considered a “gift FROM you…FOR you”! Now…this may be the greatest invention yet. 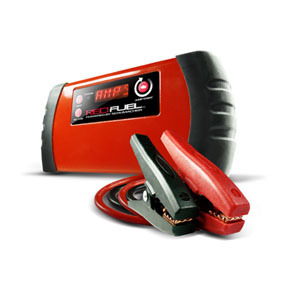 The Schumacher SL1 not only jump starts your car but it will also charge your cell phone! It comes equipped with an ultra-bright LED light to use as a work light or flash as a hazard signal. The best part is that it’s TSA approved so he can take it with him on vacation or when travelling for work! 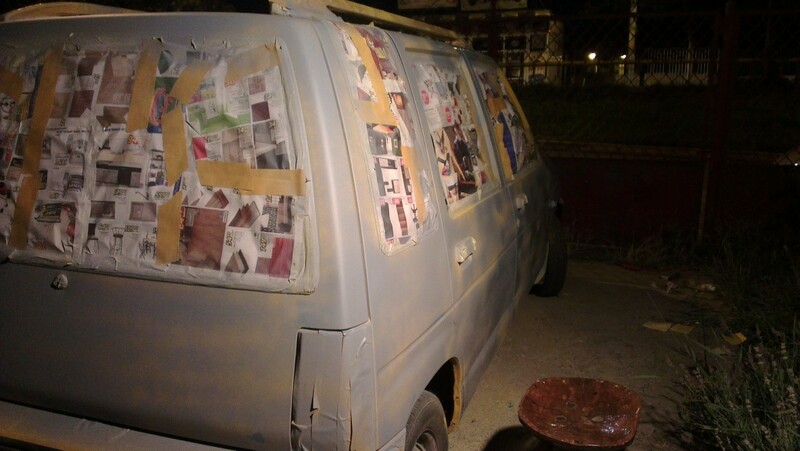 To be completely honest, even the hardest working do-it-yourself-er cannot do a perfect paint job. But don’t feel bad about it, because there are even some specialty workshops that cannot do that. 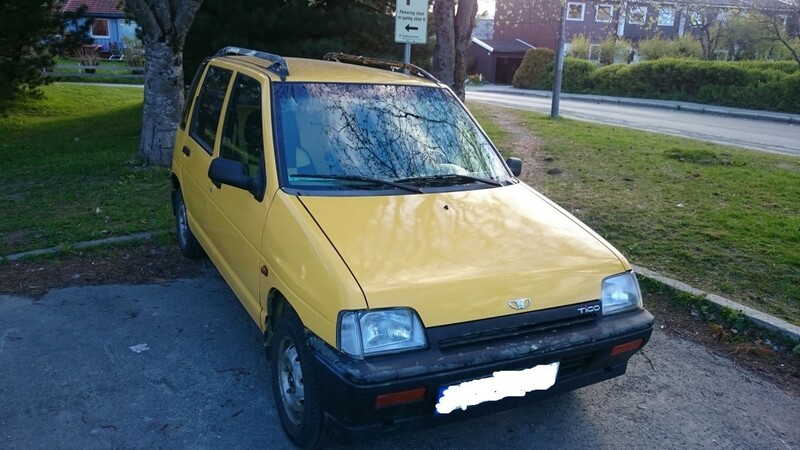 The great thing though, if you would see it, is that you do not have to get a paint job as perfect as the one a factory or one of those car shows on TV would. Just a few gallons of paint, and a lot of hard work, can get a car so close to perfection that no one would be able to tell the difference if you were cruising by. In fact, you can get it so close that even on close scrutiny, as long as the lighting conditions were not perfect, say on a cloudy day or late in the afternoon, most people could not tell the difference. The secret of an excellent homemade paint job is in the quality and time you take to get the car and the painting environment ready. For one, you will need a shed or a garage of some sort that you can empty out completely and get it so clean that you could have an operation in there and not worry about infection. 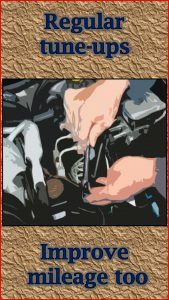 Next you need to get the car ready and here are the tools you will need to do that. There is just one thing that ruins an existing paint job to the point where you will need to repaint the car, and that is rust. If your car is completely rust free and the paint is just faded you may want to consider simply giving the car a good polish. However, if you are dealing with rust you need to make sure that you can get rid of it all before moving on to a paint job or else you will see that rust coming back in less than 6 months; and that is if you are lucky. So you will need to use a rotary tool or a drill equipped with a wire brush and just clean up as much of the rust as you can. After that you will need to use some chemical cocktail that you can get at your local paint store, to eradicate that rust. 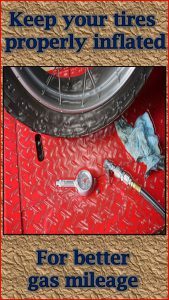 Next you will want to use some filler to smooth out the rusted area, and then you will need to move on to the next tool. If you want to get a near perfect paint job, you will end up spending so much time with an oscillating tool in your hand that you will grow to feel naked without one. First, you will need to use the oscillating tool or the orbital sander to clean away the excess filler that you have used on the previous stage. Next you will need to use it to give the entire car a good key and you can do that by using 800 grit wet and dry sand paper. After that you will want to paint some sort of primer on the entire car, and give that a good once over with your sander tool of choice. And then, depending on how good you want to get your car to look, you will cover the car with anywhere between 2 and 5 coats of paint. After each layer, you will want to let it dry, sand it down, and add the next layer, and then sand it down, a new layer of paint, sander, and so on. Eventually, you may even want to put on a layer of clear coat, but, if you have done your job right with all that sanding, and seeing how clear coat has its own extra challenges, you may want to skip over that. And that leads us to the other important tool you have been using so far. If you are to have any chance of actually coming close to a flawless paint job, you will need a good quality paint gun, and, since those only work with air compressors, you will need to get one of those too. You cannot really count on one of those electric spray guns because they do not have the ability to spray a thin enough layer of paint – perhaps this is where we should tell you that the paint needs to come out more like a mist than an actual layer of paint. 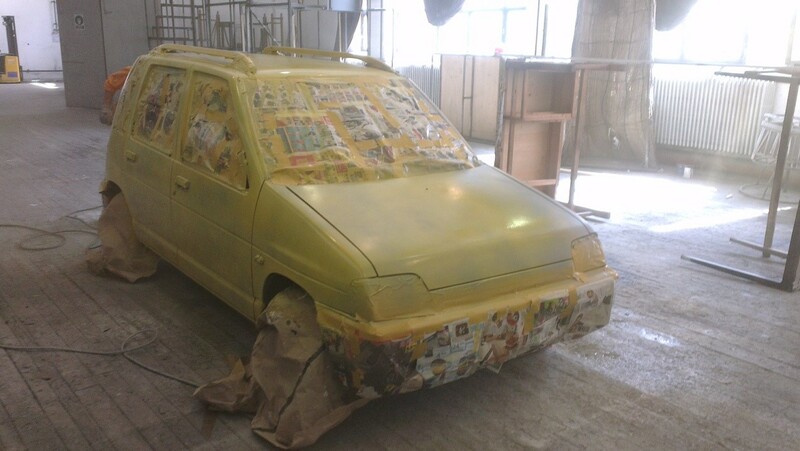 Also, if you are planning to use paint from a spray can, you might as well just forget about every other step in the preparation process and just go for it because the end result will only be good enough for the scrap yard.